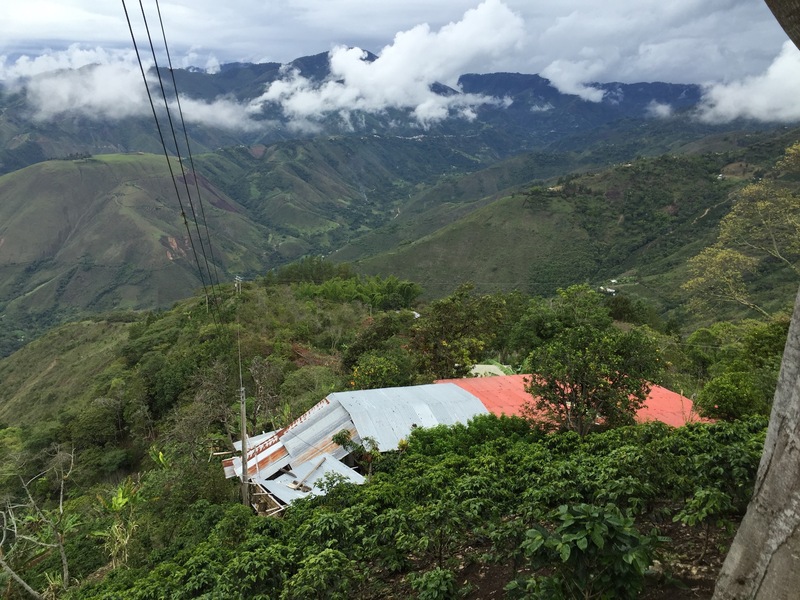 Farmer (Caficultor): Nilson Ucue – contributor to La Piramide. Nilson has been working with Caravela for 2 years. His quality has been improving and so has his financial reward, since the better the quality the higher the premium. He has a semi auto de-pulper. He only has Caturra, his farm is a total of 3 hectares. Although El Niño did affect the quality he did a lot of prep work on the coffee, pruning fertilizer (you need rain to fertilize when it has rained he could). It has hurt him his first 135 kgs picked 100kgs of it did not make the Caravela grade and had to be sold a C grade. He has been finding it hard to find quality pickers since it is hard work to pick only ripe. Easier to work on gold mines. He has hires 15 during peak season. He ensures that they pick in lots. We tasted red Caturra tasted likely papaya. Tasted yellow Caturra tasted like sweet orange. He also grows corn and sugar to supplement his income. We had some coffee that his wife roasts their coffee at home in a clay pot takes around 40 mins roast and the Nilson grinds it in the old grinder. It was very nice, and it is wonderful to see people this passionate about coffee. Farm soil is very rich and strong colour looks healthy the top part of farm is at an altitude 1940 m and that produces the best coffee. Once again such friendly and happy people was a privilege to meet them. Although El Niño did affect the quality he did a lot of prep work on the coffee, pruning fertilizer.